Indications: The product is intended for topical application e.g. on the skin of the hands, feet, torso, as well as intimate areas. It is recommended for irritated skin, especially in dermatological diseases including allergic dermatitis. 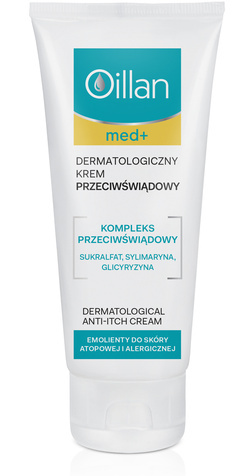 In addition, the cream relieves symptoms of allergic irritation caused by: insect bites, sunburn, and hyperkeratotic epidermis. creates a protective barrier against allergenic factors. Application: Apply a thin layer of cream to the affected skin several times a day. Avoid the eye area. Product absorbs quickly, leaving no feeling of stickiness on the skin.